The UK manufacturing sector has a lot to be positive about. According to most recent statistics, the manufacturing sector continues to defy forecasts of a post-Brexit slowdown. 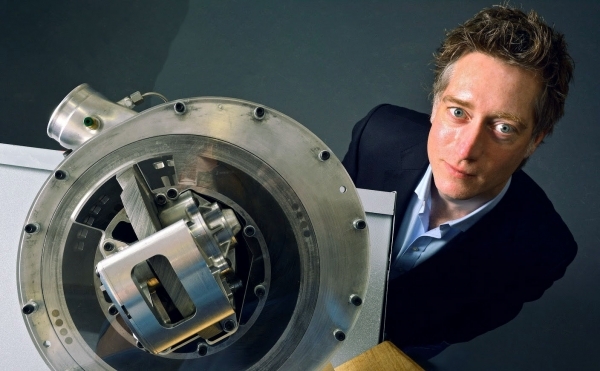 As the founder of Midlands based company Lontra, best known for its revolutionary Blade Compressor® technology, Steve Lindsey is a champion of British technical R&D; particularly in seeking to meet the challenges that industries and individuals face in mitigating their high energy and carbon usage. Without a formal background in engineering, Steve developed an innovative alternative to long-existing technology, challenging the accepted norm in a market long thought declining. Most compressors have barely changed since the designs of the 1800s – yet they account for 10 per cent of Europe’s industrial electricity use and over 40 per cent in some plants. That equates to over 10TWh of electricity every year and 4.3 million tonnes of CO2. With a single prototype, Steve convinced investors and tech companies to support the development of the product with the vision of engineering real change. The Blade Compressor® is a completely new rotary compressor. A circular mechanism replaces the old technology, compressing air – or gas – in front and inducing air or gas behind in a continuous motion, minimising waste. The design is simple – no advanced materials or complex parts. It’s reliable, durable and easy to manufacture. It’s also easy to integrate into products and to scale up or down. In a trial with Severn Trent Water, the Blade Compressor® delivered energy savings of over 21 per cent and the potential for a three per cent reduction in the company’s energy bill. 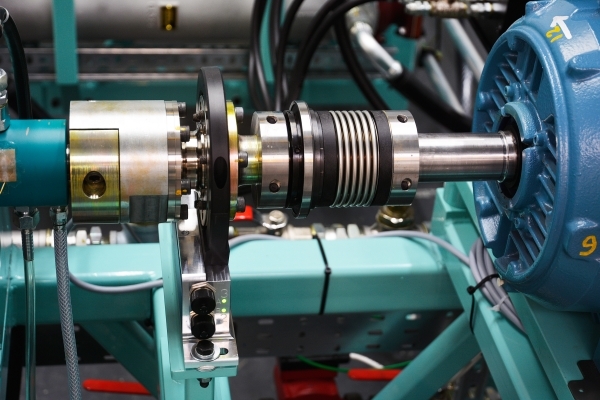 The trial also demonstrated improved compressor reliability and a reduced need for maintenance. If all the company’s low pressure compressors were replaced with the Blade Compressor® its £9 million spend on electricity for compressors would shrink by £1.8m. 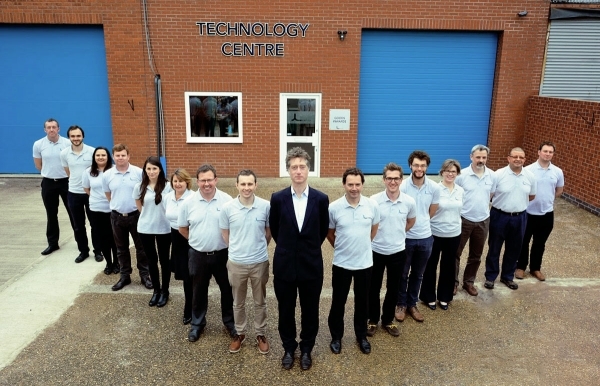 The ground-breaking technology is now licensed for production within the £600m per annum municipal and regulated waste water industry to Sulzer, a global leader in pumping equipment with 21 manufacturing facilities worldwide, seeing aeration equipment incorporating Lontra’s technology sold across 150 countries. Many people will be surprised to learn how important compressors are to our everyday lives. Compressors are ubiquitous. They’re an integral part of fridges and many cars. They’re behind the distinctive ‘whoosh’ of a tube or train door and a vital part of countless industrial processes, from water treatment to cement to food processing, and for everything from powering the tools in factories to the spray guns which paint our furniture. “Last year marked an important milestone for us. With support from Innovate UK, the Royal Academy of Engineering, the European Commission, the Institute of Mechanical Engineering and Warwickshire Growth Network, we were able to significantly invest in our R&D capabilities to further develop our expertise and market competitiveness. Our ongoing partnerships with global leader Sulzer and Shield Group Engineering have given us the platform to compete on an international level, taking control of a market worth over £25 billion. Having this level of support has been vital to us; it enabled us to launch our state-of-the art Technology Centre – a world-class facility of the type usually restricted to universities and multinational firms. The centre is allowing us to deliver ongoing improvements in energy efficiency and reliability for the compressor market. This year also marks another important milestone for the company. For the first time, Lontra will be leading a consortium to apply its technology to energy generation. This has been made possible by winning the ‘Energy Catalyst’ grant from Innovate UK; Lontra’s largest ever grant award. The two-year project will help reduce carbon emissions and energy costs, contributing to the Government’s goals to reduce energy emissions by 35% by 2020. The Government’s recent ‘Industrial Strategy’ was also positively received by the company earlier this year, particularly its emphasis on committing to a low-carbon economy. The support and continued investment from the Government in R&D and Innovation is crucial to help expanding, innovative companies like Lontra accelerate developments, as well as to bridge the critical period until small, entrepreneurial companies can support themselves with revenues and commercial funding. As for the future, of course, Lontra is keeping its ear to the ground as plans around Brexit come to fruition. Top of the agenda for the company is gaining access to global export markets. Lontra’s licensing deal with Sulzer continues to be successful and with the Government’s focus outlined in the recent Industrial Strategy, there is a real opportunity to sell the award-winning energy efficient innovation and products overseas. The company is currently focusing its efforts around pneumatic conveying. Widely used in the transportation of dry, bulk powdered or granulated materials in industries ranging from cement and food and drink, to agriculture, pharmaceuticals and chemicals. Small wonder, then, that its use is predicted to grow with increasing focus on product quality management and hygiene requirements. This year is going to be busier than ever, it looks likely that the manufacturing sector will end Q1 with better than anticipated growth and that is why we have every reason to be optimistic that UK manufacturing will continue to be world-leading.